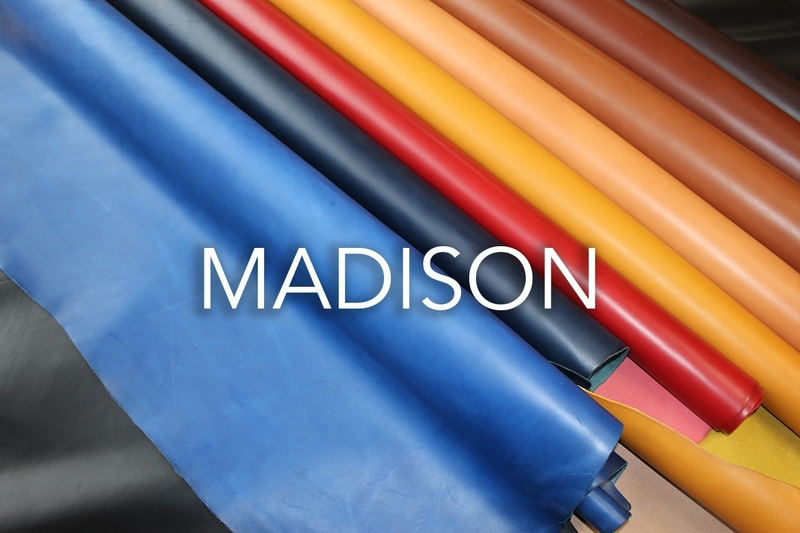 The Madison shoulders are a pure vegetable tanned supple round handle feel leather. The heavier weight substance is suitable for satchels, luggage/cases, belts and in the lighter substance particularly for smart phone/tablet covers and other small leathergoods/accessories. Some clients leave this article in its plain original form where others buff up or burnish to give a bright lustre. Available in two substances. The 1.2/1.4mm has a natural reverse. The 2.0/2.2mm has a resin reverse.